Funeral services for Nancy Loud Horton, 81, of Barnwell, SC, will be held eleven a.m., Monday, February 18, 2019 in the Folk Funeral Home Chapel, Williston, SC with the Reverends Dr. Stephen Burnette and Dr. Bart Kelley officiating and Eastern Star Rites accorded; burial will be at the Williston Cemetery. The family will receive friends one hour prior to the service at the funeral home on Monday. Memorials may be given in memory of Nancy to the Williston Cemetery Fund, P.O. Box 367 Williston, S.C. 29853. 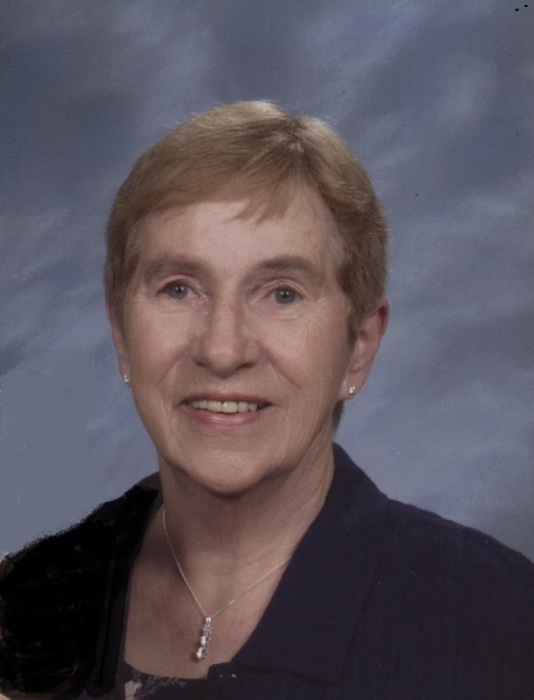 Nancy passed away on Monday, February 11, 2019, she joined her husband Herbert Lee “Herb” Horton in Heaven on their 67th anniversary. Born in Rockland, Massachusetts she was a daughter of the late Donald Sibley Loud, Sr. and Edna Francis Norcross Loud. Nancy retired from USPS and had previously worked for Blatt & Fales Law Firm. She was a member and past Grand Worthy Matron for the Ackerman Chapter 198 Order of the Eastern Star and was a member of the First Baptist Church of Barnwell, S.C. She was a devoted wife, mother, grand-mother, sister and friend. She was an avid Clemson Tiger fan. Survivors include daughters Patty (Danny) Bland, Linda (Rocky) Dunbar all of West Columbia; Susie Brown and (Alec Hatch) of North Augusta, Raine Weimortz of Williston; grandchildren Nancy (Jason) Shealey, Danielle Bland, Tony (Susan) Roberts, Jason (Kim) Williams, Kandi (Ronnie) Hatchell, Marie (Jeff) Hayes, Crystal (Fred) Hucksam, Katie Brown (Shane Fields), Brenna (Nicholas) Trotti; 14 great grandchildren; sister Lois Bunton of Williston; and a number of nieces and nephews. In addition to her parents and husband, she was preceded in death by a son-in-law Johnny Weimortz; sister Marian Alvarado and a brother Donald S. Loud, Jr.